Clicker training is a reinforcement or reward for a cat when training them. Clickers are used most often for support when training a cat for a reward. Cats associate the clicker with a good behavior they will use for a long time. Clicker training is associated with a classical condition (they associate the sound with food.) and operant conditioning (cat performs movement to receive food). Why use a clicker and not tell a cat or make a sound to get your cat to do a trick? A clicker has a sound a cat can hear and associate good behavior. With words, our tones in our voice can change from time to time, which a cat can become confused with the training. With talking for the commands, a cat could mistake the commands. With using a clicker, it is more of a training tool to get the behavior started with the cat. Then you can put the clicker away for that behavior or trick once a cat has learned the behavior. When taking the cat out for a walk or on a trip, the clicker is a good item to carry along with you. Cats can get distracted by other people or animals in the area. With using the clicker, it will reinforce the behavior that you have taught them. In addition, a clicker can help you with having your cat walking with you instead of wandering around. With the clicker, a cat can be trained using three easy steps: Get a behavior, mark a behavior, and reinforce the behavior. Get a behavior is the first step. A good example would be for the cat to jump a hoop. The cat will have to know that when you click that they get a treat. Start with very small treats in your pocket. Clicks, Treat, Click Treat do this for a few times until you see the cat coming for the treat on the click. Next marking the behavior: You will have to show the cat the hoop. Once the cat touches the hoop, click, treat. Then show the cat to go through the hoop once it does click, treat. Continue to do this until the cat goes through the hoop on its own or your command. Reinforce the behavior Remember to have snacks handy so when you do see your cat go through the hoop a snack is available. 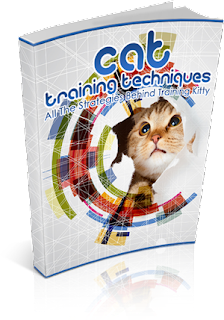 Training a cat with a clicker can be fun for both you and the cat. Taking steps in training will be rewarding to you and the cat. Try not to rush a cat in training, as they can become confused especially if they did not get the step before down. The training will take time and steps to achieve this behavior. Patience, love, and rewards will be the key factor in training your cat. The clicker is a good exercises tool for a cat. 10 to 15 mins a day you should get your cat to exercises. For exercising, you can have the cat use a hoop, play with a toy, and climb on the scratching post or something that focuses on the cat getting exercise. Exercises will help the cat to stay healthy and help to keep it out of mischief. Once you have used a clicker, the cat will get good exercise and be a healthy cat. The cat will be happier and you will be happier with the new behaviors that you have taught your cat. To sum up, training your cat, important things to remember is to have patience, love and the clicker. Meow! That is the sound you hear when you meet your cat walking down the doorway. It will move with his head and tail held high, looking directly at your eyes and emitting a faint sound summoning you to follow wherever it goes. That is your cat? Right? The fluffy little mass, whose behavior seems quite odd at times, and leaves you baffling with a variety of questions. Have you ever thought that your cat is an aloof creature to you? Then it is because you do not understand it. Your cat is always trying to communicate to you through its gestures and body language, so to know your cat more, you need to know more about the cat’s body language. The sweeping of the tail, or rubbing of the cheeks, pricking of the ears or purring under breath - each has a significance of its own. Your cat will often rub its cheeks against you or against the cheeks of another cat. Through this, it actually tries to pick up or leave scent markers so that it can again create a future physical contact. The tail is the most important part of your cat’s body, to indicate a variety of actions and reactions. The tail often denotes its mood and intention. If your cat is sweeping its tail in broad gestures, then it symbolizes annoyance or impatience at your excessive petting. If you continue to cuddle the cat might result in growling softly or giving you a “bat” with its paws. A rapid sweeping of tail back and forth, right from the center shows an extreme agitation in your cat. If you find your cat turning its body fully sideways and extending its bristled tail upwards, then be sure that your cat is heralding a conflict with the fellow cats. When your cat is busy trapping a prey, you will find it to be more cautious, involved in subtle movements and inflating its tummy while all the time intently aiming at the prey. Often you will find your cat lowering its tail to tuck it between her legs, which show her complete obedience. A raised tail also indicates that your cat wants to be friendly, and a twitching of the tail will confirm its anticipation to be with you after the whole day of outing. Along with the tail, the cat’s body gestures speak volumes about its mood and behavior. While bent legs denote defending of self, outstretched legs will denote self-confidence and self-assurance. If the cat’s ears are back and the body low, it will impart its shame or remorse; pricked ears will denote interest in the happenings around it. If you find your cat with the head completely lowered then it will show boredom and be sneaking subtly with its head lowered on the ground should make you aware of the full-fledged assault on the victim ahead. Knowledge about these kitty-cat behaviors will definitely strengthen the bond between you and your cat. Clicker training is a reinforcement or reward for a cat when training them. Clickers are use most often for support when training a cat for a reward. Cats associate the clicker with a good behavior they will use for a long time. Clicker training is associated with classical condition (they associate the sound with food.) and operant conditioning (cat performs movement to receive food). When taking the cat out for a walk or on a trip, the clicker is a good item to carry along with you. Cats can get distracted with other people, or animals in the area. With using the clicker, it will reinforce the behavior that you have taught them. In addition, a clicker can help you with having your cat walk with you instead of wondering around. With the clicker, a cat can be trained using three easy steps: Get a behavior, mark a behavior, and reinforce the behavior. Get a behavior is the first step. A good example would be for the cat to jump a hoop. The cat will have to know that when you click that they get a treat. Start with very small treats in your pocket. Clicks, Treat, Click Treat do this for a few times until you see the cat coming for the treat on the click. Next marking the behavior: You will have to show the cat the hoop. Once the cat touches the hoop, click, treat. Then show the cat to go though the hoop once it does click, treat. Continue to do this until the cat goes though the hoop on its own or your command. Reinforce the behavior Remember to have snacks handy so when you do see your cat go though the hoop a snack is available. The clicker is a good exercises tool for a cat. 10 to 15 mins a day you should get your cat to exercises. For exercising, you can have the cat use a hoop, play with a toy, and climb on the scratching post or something that focus on the cat getting exercise. Exercises will help the cat to stay healthy and help to keep it out of mischief. To sum up training your cat, important things to remember is have patience, love and the clicker. 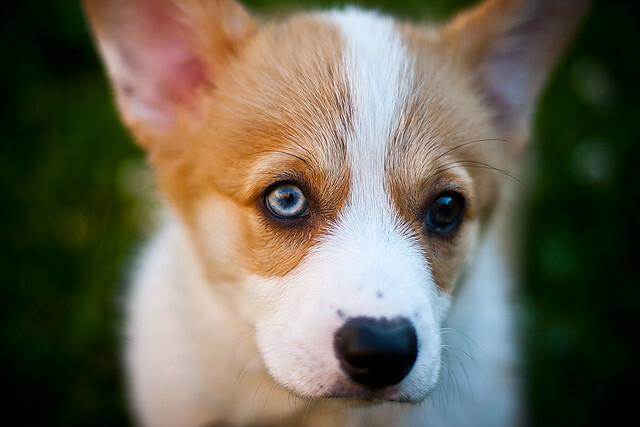 There are various reasons as to why a person would buy a leash for their pet. Cat leashes are just simply wonderful to have although some people don't seem to need them. You can find so many different cat leashes according to what you will use it for or how often you will be using it. What is the use for a cat leash? Some owners could find it strange for some to use a cat leash mostly because you rarely ever see a cat with one on, but you do see people that have dogs with them. A cat leash serves different purposes for the owner and the petalone. Like dogs, cats have their own special personality and some cats could be a little more mild mannered and conservative while other cats are territorial and don't like other cats. If you have a territorial cat then it might be a good idea for you to put him on a leash if you want to take him out for a walk. some owners might have their cats with them and if your pet tries to threaten them or they do the same you can contain your pet with the leash. Another reason why you might want to have a cat leash for your cat is so that he will not wonder away when you take him outside. 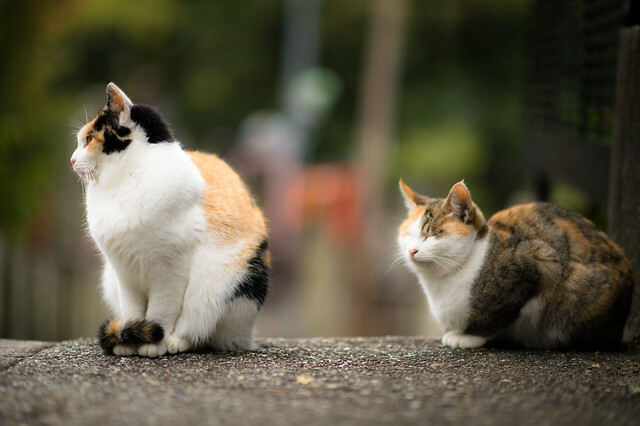 Cats are independent animals and the majority of them won't stay right next to you when going on walks; especially if they are an outdoor cat. Overall leashes are used for convenience and protection reasons when taking your cat out. What kind of cat leashes can I buy? You'd be pleased with the huge options of cat leashes you can find; especially if you browse online. If you go to a store then there are smaller options of cat leashes, however if you are looking for a certain cat leash then you will surely be able to find it online with no problem at all. A popular type of cat leash that most owners have for their pets is one with a retractable cord. A retractable cord leash allows the owner to adjust the leash to various lengths that is suitable for the size of your cat and it allows you cat to wander longer distances without feeling contained when you take him out on walks. Another reason that the retractable cord is one of the preferred types of leashes to us is because when you are finished using it for your cat you can retract the cord and put it away. No more worrying about loose cords getting tangled! Make sure that you purchase a harness for the leash that you will be using for your pet. Many leashes already have a harness, but some don't and you can buy them separately. A harness is needed so that your pet can be safe when you take him on walks. It causes the pressure of the leash to be evened out so that he won't choke from the leash tugging on his collar. It's the safest thing to do so purchase a harness for him. Harnesses come in various sizes according to the weight and how big your pet's neck is. Make sure to purchase one that is not too tight but fits your cat comfortably. According to what the leash is made of, the brand it is, and the length of the leash will determine the price of it. Pay attention to the details of a leash and make certain that you buy one that will last for a long time; especially since some pets bite, chew, and ruin leashes over time. A cat whisper is somewhat similar to a dog or horse whisperer, although cat whisperers relate quite well with cats. These types of people are unusually lucky and very successfully with cats. In most cases, a cat will be abandoned or just show up at someone’s door. In this event, the cat will adopt this individual as the cat whisperer. 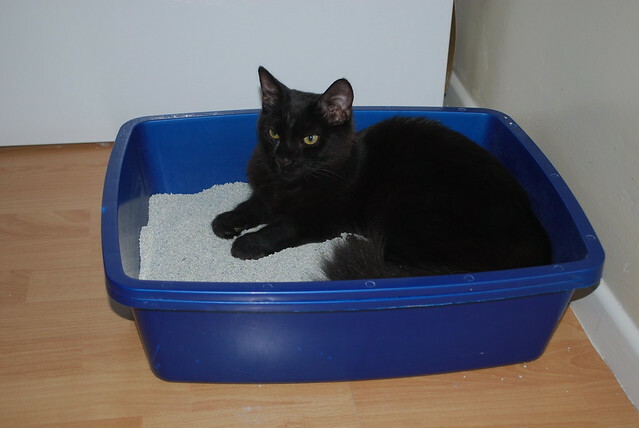 Often times, alley cats and black cats will show up at someone’s door and decide to move into their homes. This can be a result of abandonment, or the cat’s family moving away and simply leaving the cat behind. Sometimes, the cat may decide that he likes someone else’s home better and decide to move there instead of staying with his owner. A lot of people will tell you that a cat whisperer can be thought of as a therapist for cats. Almost all cat whisperers haven’t have any type of training, what they know just seems to come to them naturally. These types of people understand the way a cat thinks and knows how to work with the cat to achieve the results they want. Even though many think of a cat whisperer as a therapist, it actually couldn’t be further from the truth. Cats who have been abused or mistreated, often times won’t respond to anyone but a cat whisperer. Although others may have tried to help the cat, it will only make matters worse by making the cat feel scared and afraid. In most cases, these cats will end up in a pound. This is very tragic, as the cats have already endured more than they ever should have. A majority of the cats who have been abused were once loved pets. Along the way, they were abandoned, mistreated, attacked by dogs, and in some cases tortured. Cats who have been treated unfairly often times won’t trust anyone. They are often times confused, in a lot of pain, and not sure what they should do. Like humans, cats feel pain. Those that have been physically abused are a sad sight indeed. Emotionally damaged cats may appear to be in perfect health on the outside, although their emotions are a wreck. Emotionally abused cats are much harder to get through to, especially if they were stray cats to begin with. Cat whisperers on the other hand, can communicate with physically and emotionally abused cats. Cats know who they will choose to be their cat whisperer, which is normally an individual they sense trust with. Cat whisperers are common with cats, although most people have never heard of them before. Even though a cat whisperer may be able to communicate better with cats, it will still take time to heal a cat that has been abused. You can’t train a cat, like you can a dog. If you try to, you’ll probably cause behavioural problems later on. But you can teach it not to perform bad habits. But most times the owner will have to change to fit in with the cat. Every one in your house, should agree with what you are going to allow the cat to do. Do not change the rules when you’ve decided them, as this can cause difficulties. Cat using scratch pad made of corrugated cardboard/fiberboard. • If your cat trusts you, it will probably do what you want, so speak in a calm tone. • Your cat can tell if you are anxious, so don’t worry if things go wrong. Keep calm and start again. • Don’t force training on your cat, only attempt it when it seems happy to do so. • Don’t move too quickly, or the cat might misunderstand. • When teaching a kitten only do it for ½ hour a day and only repeat a few times. As an annoyed kitten will not learn anything. • If you are forbidding something, be consistent. Don’t change your mind, and stick to the same command. • If you’ve caught your cat doing something bad, give it a quick squirt of water from a plant sprayer. This will soon curb the behaviour. • Never hurt or shout at your cat, or it will associate you with the unpleasantness. Instead put some dry beans in a tin and shake it briefly if you cat is being bad. • When the cat obeys, praise and stroke it. • Treat your cat with food when it does well, it will learn to associate a good behaviour with food. But don’t over do it, it will soon so it without help. • Do not ignore your cat when you are mad at it, cats do not understand this behaviour and will feel insecure. Your cat will not know from the start that it has to use a scratch post to sharpen its claws. You need to teach it to do so. If your cat beings to attack the furniture, clearly say ‘NO’. Then take the cat to the scratching post and put its paws on it. You can scratch with your own nails too, as the noise will make the cat curious. If your cat refuses to use the scratch post, then it may not like the fabric that covers it. Try putting an old piece of clothing that smells like you over the board; put some hemp rope around the scratching tree, or put down some straw mats, cats often like these better. Make sure where your cat sleeps is quiet and comfortable. Provide your cat with a covered basket, with a soft filling such as a blanket or towel. You cat can get away in here and feel safe, but still be able to see things going on. Don’t let your cat beg, once it has formed this habit, you won’t be able to break it. Don’t give in to a meowing cat! Keep your cat away from the dining table! • Don’t offer your cat food from the table. • Don’t give treats outside of feeding time, just because it wants them. • Don’t put your cat on your lap when eating dinner at the table. • Set your cat certain feeding times. • Feed your cat when you eat, so it will be occupied. • If you cat jumps on your lap or the chair next door while you are eating say ‘NO’ and place it far from the table. 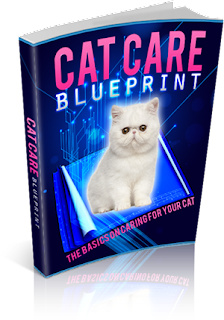 Is Your CAT BEHAVING Badly? If your cat is anything like mine then he or she loves to scratch at all kinds of things, things that you really do not want to see scratched up. Cats are one of the most amazing and wonderful pets to own but they can wreak havoc if you let them. You need to learn some techniques to keep the cats from their bad behavior. Male cats tend to be the most trouble some of the species because they are the ones that are prone to spray. Spraying is one of the most terrible of all cat behaviors. This is a process of literally peeing on anything and everything. They spew urine out behind them in order to mark what they feel is their territory. The best way to treat this behavior is before it starts. The younger that you get your cat neutered the less likely he is to spray as he gets older. People are getting their cats fixed as early as 12 weeks. 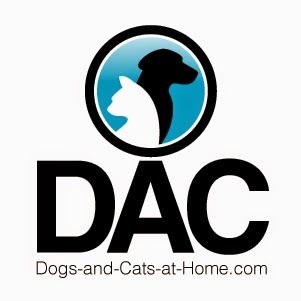 If you are worried about getting your cat fixed this young talk to your vet and do some good research online. 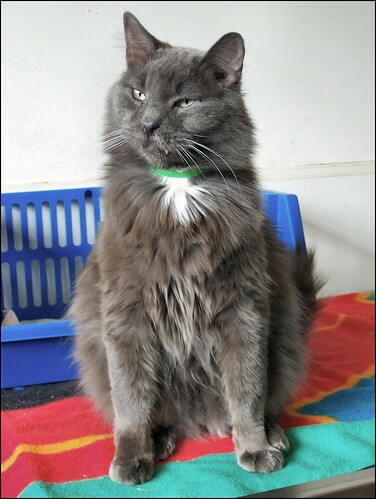 This is the age that the SPCA is getting this done on the cats that have take in. This is the best way to nip bad cat behavior in the bud, especially spraying. Of course the most common cat problem of all is scratching. If your cat is scratching the furniture and you, any you have tried just about everything else you should give nail caps a try. These are little tiny caps that go over the end of the nails. 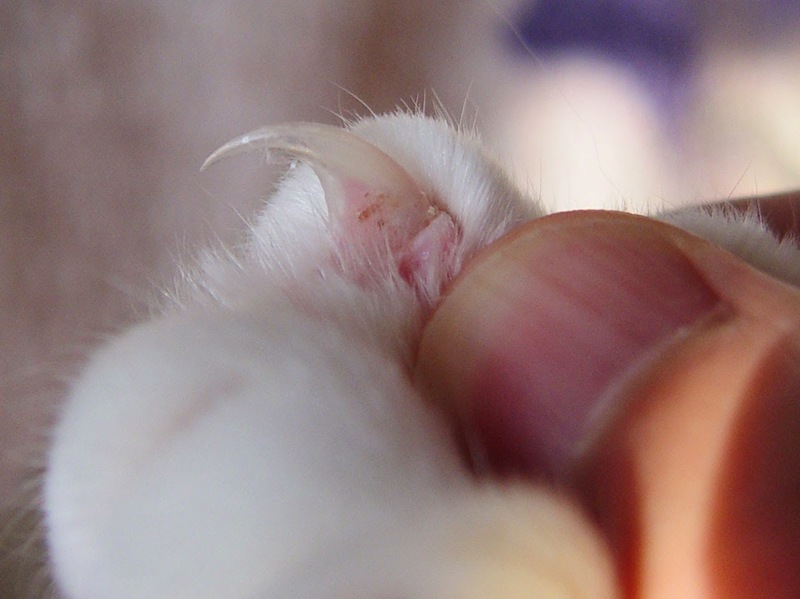 They glue on like Press on Nails and they do not hurt your cat in any way. They do not even interfere with the claws ability withdraw into the paw. They are the perfect and painless way to keep your cat from doing any damage with his or her claws. Of course these are only for indoor cats.